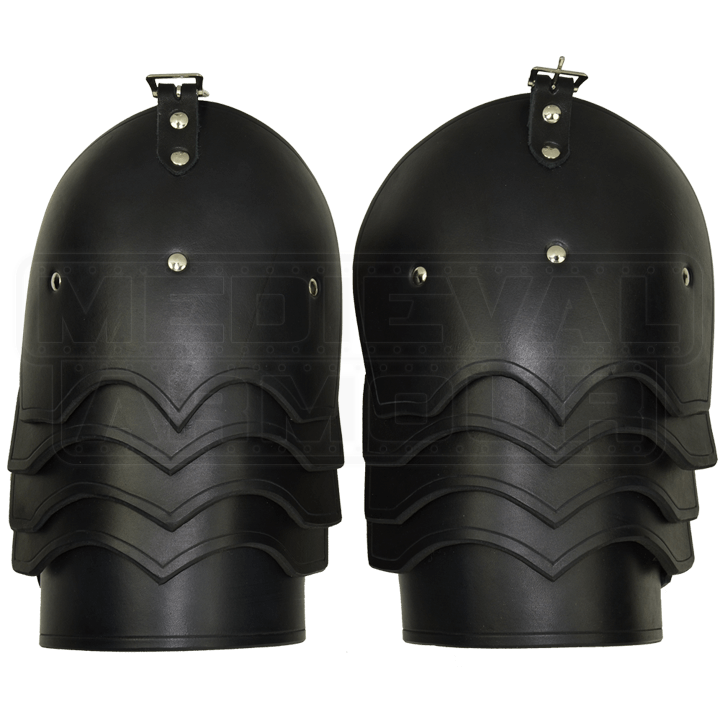 Our Soldier Leather Pauldrons feature a molded and hardened shoulder piece with four lower lames. These pauldrons are fully articulated and will move nicely with any arm movement. The pauldrons have a strap and buckle at the underside of the shoulder so you can attach these to a gorget or a breastplate that has D rings. There is also a strap and buckle on the lowest lame to attach to your arm. 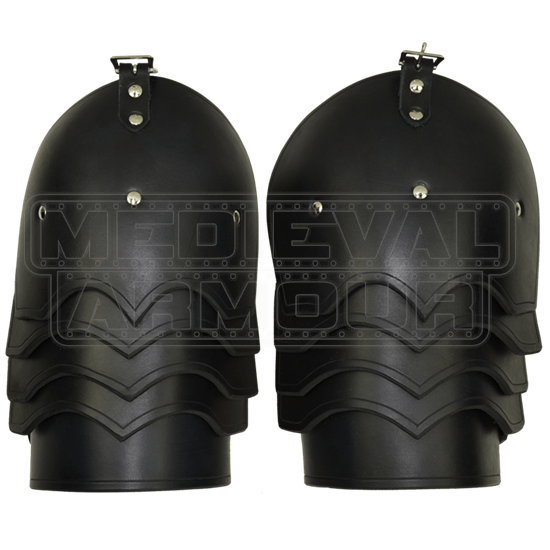 These pauldrons are great for SCA, LARP, and Theater. They are made of thick 13/15 oz. armour grade leather.